Section 80C has been inserted from the assessment year 2006-2007 onwards. Section 80C provides deduction in respect of specified qualifying amounts paid deposited by the assessee in the previous year. Under Section 80C , deduction would be available from Gross Total Income. Deduction under section 80C is available only to individual or HUF. Deduction is available on the basis of specified qualifying investments / contributions / deposits / payments made by the taxpayer during the previous year. The maximum amount deduction under section 80C , 80CCC, and 80CCD can not exceed Rs.1 lakh. Payment in respect of non-commutable deferred annuity. Any sum deducted form salary payable to Govt. employee for the purpose of securing him a deferred annuity. Contribution towards Statutory Provident Fund and Recognised Provident Fund. Subscription to National Saving Certificates, VIII Issue. Contribution for participating in the Unit-linked Insurance Plan (ULIP) of UTI. Contribution for participating in the Unit-linked Insurance Plan (ULIP) of LIC Mutual Fund. Any sum paid as subscription to Home Loan Account Scheme of the National Housing Bank. Any sum paid as Tuition Fees for full time education of any 2 children of an individual. Any payment towards the cost of purchase / construction of a residential Property. Amount invested in approved Debenture of , and equity shares in, public company engaged in infrastructure. Amount deposited in as Term Deposit for a period of 5 years or more in accordance with a scheme framed by the Government. Amount deposited in 5 Year Time Deposit in Post Office. The aggregate deduction u/s 80C, 80CCC, and 80 CCD can not exceed Rs. 1,50,000. ■ Subscription to any notified security or notified deposit scheme of the Central Government. For this purpose, SukanyaSamriddhi Account Scheme has been notified vide Notification No. 9/2015, dated 21.01.2015. Any sum deposited during the year in SukanyaSamriddhi Account by an individual would be eligible for deduction. ■ Amount can be deposited by an individual or in the name of girl child of an individual or in the name of the girl child for whom such an individual is the legal guardian. ■ Subscription to any units of any approved mutual fund referred to in section 10(23D), provided amount of subscription to such units is subscribed only in 'eligible issue of capital' referred to above. ■ Term deposits for a fixed period of not less than 5 years with a scheduled bank, and which is in accordance with a scheme12 framed and notified. ■ Subscription to notified bonds issued by the NABARD. 1. Deduction is limited to whole of the amount paid or deposited subject to a maximum of Rs. 1,50,000. This maximum limit of Rs. 1,50,000 is the aggregate of the deduction that may be claimed under sections 80C, 80CCC and 80CCD. 2. The sums paid or deposited need not be out of income chargeable to tax of the previous year. Amount may be paid or deposited any time during the previous year, but the deduction shall be available on so much of the aggregate of sums as do not exceed the total income chargeable to tax during the previous year. 3. Life Insurance premium is part of gross qualifying amount for the purpose of deduction under section 80C. Payment of premium which is in excess of 10 per cent (if policy is issued on or after 1-4-2013, 15% in case of insurance on life of person with disability referred to insection 80U or suffering from disease or ailment specified in section 80DDB/rule 11DD) of actual capital sum assured shall not be included in gross qualifying amount. The value of any premiums agreed to be returned or of any benefit by way of bonus or otherwise, over and above the sum actually assured, which is to be or may be received under the policy by any person, shall not be taken into account for the purpose of calculating the actual capital sum assured. The limit of 10 per cent will be applicable only in the case of policies issued on or after 1-4-2012. In respect of policies issued prior to 1-4-2012, the old limit of 20 per cent of actual sum assured will be applicable. If any equity shares or debentures, with reference to the cost of which a deduction is allowed, are sold or otherwise transferred by the assessee to any person at any time within a period of three years from the date of their acquisition, the aggregate amount of the deductions of income so allowed in respect of such equity shares or debentures in the previous year or years preceding the previous year in which such sale or transfer has taken place shall be deemed to be the income of the assessee of such previous year and shall be liable to tax in the assessment year relevant to such previous year. 5. If any amount, including interest accrued thereon, is withdrawn by the assessee from his deposit account made under (a) Senior Citizen Saving Scheme or (b) Post Office Time Deposit Rules, before the expiry of the period of five years from the date of its deposit, the amount so withdrawn shall be deemed to be the income of the assessee of the previous year in which the amount is withdrawn and shall be liable to tax in the assessment year relevant to such previous year. ■ Deduction for preventive health check-up shall not exceed in aggregate Rs. 5,000. ■ Payment on account of preventive health check-up may be made in cash. (a) which has begun or begins to manufacture or produce any article or thing, not being any article or thing specified in the Thirteenth Schedule, or which manufactures or produces any article or thing, not being any article or thing specified in the Thirteenth Schedule and undertakes substantial expansion during the specified period. Profits and gains from business of hotels and convention centres in specified areas (subject to certain conditions). Deduction in respect of certain undertakings in North Eastern States. Royalty on patents up to Rs. 3,00,000 in the case of a resident individual who is a patentee and is in receipt of income by way of royalty in respect of a patent registered on or after 1-4-2003 (subject to certain conditions). Deduction of Rs. 75,000 to a resident individual who, at any time during the previous year, is certified by the medical authority to be a person with disability [as defined under Persons with Disabilities (Equal Opportunities, Protection of Rights and Full Participation) Act, 1995] [w.e.f. assessment year 2005-06 including autism, cerebral palsy, and multiple disabilities as defined under National Trust for Welfare of Persons with Autism, Cerebral Palsy, Mental Retardation & Multiple Disabilities Act, 1999] [in the case of a person with severe disability, allowable deduction is Rs. 1,25,000] (subject to certain conditions). 1. with effect from assessment year 2015-16. 2. Where deduction is claimed under this section, deduction in relation to same amount cannot be claimed under section 80C. 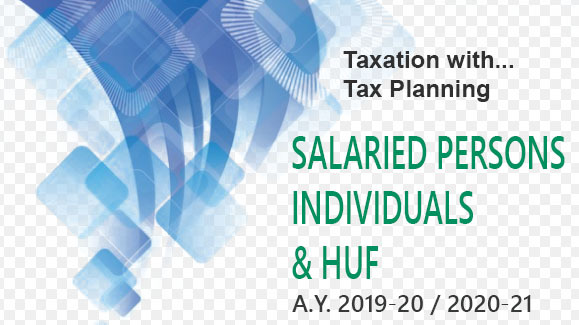 With effect from assessment year 2015-16, amended sub-section (1) has clarified that a non-government employee can claim deduction under section 80CCD even if his date of joining is prior to January 1, 2004. 4. With effect from the assessment year 2012-13 section 80CCE is amended so as to provide that contribution made by the Central Government or any other employer to a pension scheme under sub-section (2) of section 80CCD shall not be included in the limit of deduction of Rs. 1,50,000 provided under section 80CCE. With effect from assessment year 2016-17, sub-section (1A) of Section 80CCD which laid down maximum deduction limit of Rs. 1,00,000 (under sub-section (1)) has been deleted. Further, a new sub-section (1B) is inserted to provide for additional deduction to the extent of Rs. 50,000. The additional deduction is not subject to ceiling limit of Rs. 1,50,000 as provided under Section 80CCE. 5. Rajiv Gandhi Equity Savings Scheme, 2012/2013. With effect from assessment year 2014-15 (a) investment in listed units of an equity oriented fund is also permitted; (b) deduction shall be allowed for three consecutive assessment years, beginning with the assessment year relevant to previous year in which the listed equity shares or listed units of equity oriented fund were first acquired and (c) gross total income of the assessee for relevant assessment year shall not exceed twelve lakh rupees. Premium up to Rs. 25,000 (Rs. 30,000 if member insured is a senior citizen or very senior citizen) paid to insure any member of the family. Aggregate amount of deduction cannot exceed Rs.30,000 in any case. *‘Senior citizen’ means an individual resident in India who is of the age of sixty years or more at any time during the relevant previous year. **‘Very senior citizen’ means an individual resident in India who is of the age of eighty years or more at any time during the relevant previous year. With effect from assessment year 2016-17, the taxpayer shall be required to obtain a prescription from a specialist doctor (not necessarily from a doctor working in a Government hospital) for availing this deduction. 8. Scope of 'higher education' is enlarged with effect from assessment year 2010-11 to cover any course of study pursued after passing the Senior Secondary Examination or its equivalent from any school, Board or university recognised by the Central Government or State Government or local authority or by any other authority authorized by the Central Government or State Government or local authority to do so. With effect from 1-4-2010 the scope of expression 'relative' has also been enlarged to cover the student for whom the taxpayer is the legal guardian. is eligible for the purpose of deduction under section 80G [this is in consequence of omission of section 10(23)]. 10. Donation made to an authority constituted in India by or under any law enacted either for the purpose of dealing with and satisfying the need for housing accommodation or for the purpose of planning, development or improvement of cities, towns and villages, or for both is also eligible for the purpose of deduction under section 80G from the assessment year 2003-04 [this is in consequence of omission of section 10(20A)]. 11. With effect from 1-4-2013 no deduction shall be allowed in respect of donation of any sum exceeding ten thousand rupees unless such sum is paid by any mode other than cash. 12. With effect from 1-4-2013 no deduction shall be allowed under this section in respect of any sum exceeding ten thousand rupees unless such sum is paid by any mode other than cash. 13. With effect from 1-4-2014 deduction will not be allowed if sum is contributed in cash. 14. Time limits stated under section 80-IA(4)(iv) have been extended from 31-3-2014 to 31-3-2017. 15. Additional wages means the wages paid to the new regular workman in excess of 50 workmen employed during the previous year. In case of an existing factory, the additional wages shall be nil, if increase in number of regular workmen employed during the year is less than 10% of existing number of workmen employed in such factory as on the last day of the preceding year. 15. With effect from Assessment Year 2016-17, the deduction shall be available to all assessees [not just Indian companies]engaged in the business of manufacturing of goods in a factory.